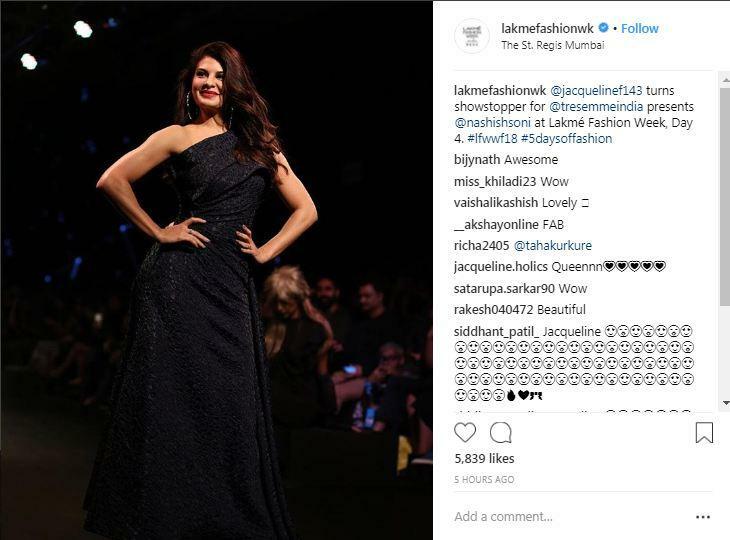 Bollywood diva Jacqueline Fernandez set the ramp on fire as she walked for designer Ashish N Soni on day four of the ongoing Lakme Fashion Week. The 'Race 3' star sashayed down the runway in two different looks. 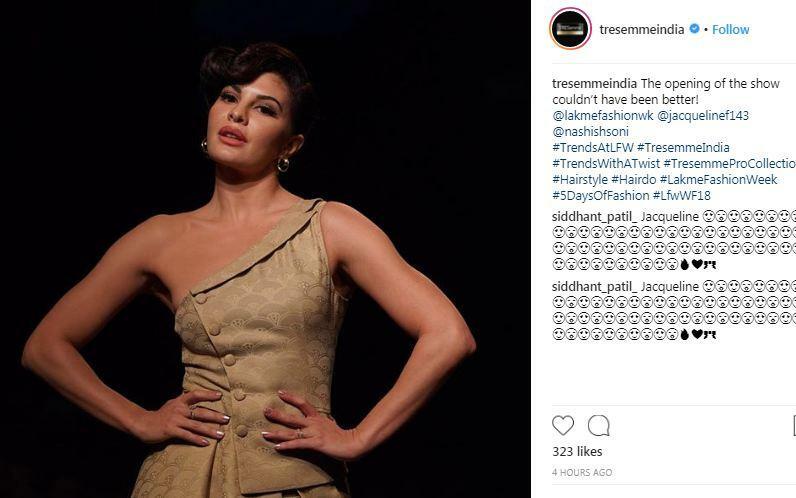 For Ashish N Soni's show, the Tresemme brand ambassador exuded unabashed elegance with a one-shouldered tunic and complemented the look with minimal make-up and a retro hairdo. Proving that she's the ultimate queen of fashion, the 'Kick' star also stunned in a black, single-shouldered gown with loose curls and bold red lipstick. The fashion event, which started on August 22, saw several Bollywood celebrities including Karisma Kapoor, Shahid Kapoor, Disha Patani, Sushmita Sen, Janhvi Kapoor and Huma Qureshi turning show stopper for various renowned designers. Since its inception, Lakme Fashion Week has always lent support to young talent and provided them with relevant opportunities to grow within the fashion industry.